Providing musical experiences including music lessons, access to instruments, workshops, music career training and/or information sessions, involvement of musically talented mentors and opportunies for performance were the primary offerings of our Music Factory Programs, funded in part by the Alberta Safe Communities Initiative. The Music Factory Programs took place in Stoney Nation (July 2010- August 2013) and Cold Lake (July 2010- May 2014), and in Calgary (June 2011 - August 2014). They were designed to enrich the lives of vulnerable, at-risk youth so that they may experience success, improve self-esteem, build confidence, develop team work and other job related skills, and ultimately break the cycle of poverty, unemployment, and dysfunctional behaviour. The primary intent of Legacy’s Music Works Program (August 2010 - August 2011) was to reach out to youth associated with Alberta Children and Youth Services, both in urban and rural settings, who have a passion for music and who would like to pursue a path that could lead to a career and/or education related to the industry. As with our Music Factory Programs, Music Works programming were offered in existing community facilities right in the heart of where youth lived by partnering with like-minded individuals and organizations that brought skill, talent and resources to enrich the programming. 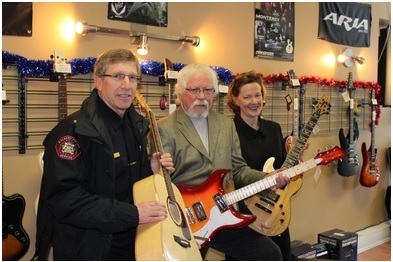 Music Works was funded in part through Alberta Justice – Proceeds of Crime.